The Fall semester final exams start on Wednesday, Dec. 9, and end on Tuesday, Dec. 22. Here is some important information for students. The Fall semester final exams start on Wednesday, Dec. 9, and end on Tuesday, Dec. 22.
the McGill homepage, the Exams website, McGill’s social media feeds and the local media. The final schedule with room locations can be found on the Exams website, along with other helpful information. · For exams administered by the Faculties of Law, Medicine, Dentistry, School of Continuing Studies and those held at Macdonald Campus, please refer to their respective websites. · Please leave your valuables at home – you will not be allowed to keep personal items at your exam seat along with any materials not necessary for the exam – the University is not responsible for lost or stolen property. · You must present your valid McGill ID card. · Cell phones, smart watches or electronic devices must not be in your possession during an exam. 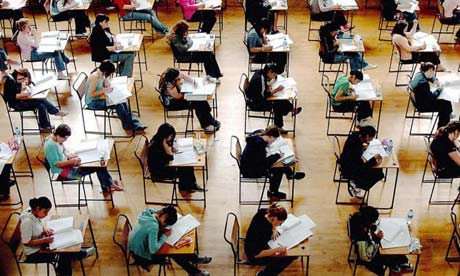 · All final examinations are governed by the University examination regulations. · Conduct during examinations is also governed by the Code of Student Conduct and Disciplinary Procedures in the Handbook on Student Rights and Responsibilities. If you are looking for ways to de-stress during exams, the McGill Counselling Service is holding daily sessions of Yoga, Therapy Dogs and Guided Relaxation. The McGill Fitness Centre will also be open to all students to train for free from Dec. 7 – Dec. 23.